So, you've got yourself a dirt bike. Before you try landing those triples you'll need to invest in some very important equipment - namely riding gear. 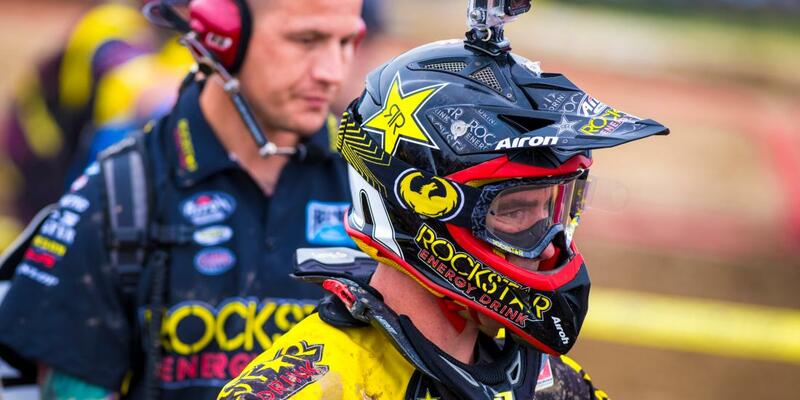 Body protection is a must when racing around the track and nothing could be more important than a dirt bike helmet. You likely did some research before buying your bike so you're going to want to do the same before grabbing any 'ole helmet. Whether you are a seasoned rider looking to replace or upgrade an existing helmet or you're just starting off - MotoSport's Dirt Bike Helmet Buying Guide is designed to take some of the heavy lifting out of finding the right helmet for you. Besides, if you're busy doing research that means you're not on your bike tearing up the track! Is this an upgrade or replacement? If dirt bike riding has moved from a sometime hobby to a lifestyle, a higher-end helmet loaded with features is a sound investment. Are you more subtle and prefer a plain solid color look? The United States Department of Transportation sets a minimum standard level of protection for helmets. Many articles debate the merits of Snell's stringent standards over the government's guidelines and whether or not a helmet with Snell certification is better than DOT or ECE. *MotoSport's return policy is easy and hassle free. Click here for instructions on all returns and exchanges. Price is likely one of the first things you'll consider especially if you are a beginner. Price is often reflected in the materials used and the number of features. For example, a helmet constructed of carbon fiber will typically cost more than a polycarbonate helmet. However, a more expensive helmet generally offers better protection, comfort and technology but that doesn't mean you can't find a quality helmet for a reasonable p rice.